When you Google “electricians near me” you’re likely to get a long list, the first half of which are just paid advertisements. How do you really know which one on the list is the right electrician to handle your job efficiently, safely and up to the highest quality standards? Scroll straight to Root Electric and you know you’re getting the best electrician in Northern Virginia. We have provided more than three decades of 5-star service for our residential and commercial clients. Whether you’re dealing with a blown circuit, major electrical repairs, remodeling or anything else that deals with electricity, we’ll make sure your lights are on when you need them. This isn’t to say that new electricians are bad, it’s just that they may be inexperienced for what you need. And because safety is such a huge issue when it comes to the electricity in your home, you really want to choose one of the electrical contractors near you that has been working in the area for several years. They understand the local building codes and have seen and experienced working in many different homes in the area. And if they’ve been in business for several years, it’s a clear sign their customers trust and have been happy with their work. Root Electric has been a Northern Virginia electrician for three decades, keeping homes and families safe and powered up with trusted electrical work since 1986. 2. Do these electricians near Woodbridge have ratings and reviews you can verify? Naturally, you should ask family and friends about their trusted local electricians to double check your online search for electricians near Woodbridge. But while you’re online, there are some other good resources to check to see what other customers have experienced with the local electricians on the list. Focus your search for reviews on targeted, reputable review sites like Best Pick Reports, Angie’s List and also check whether your Northern Virginia local electricians have any awards for excellent service and quality. About that safety record—This is always the most important question to find out about before having any electrical work done. The ratings and reviews on the aforementioned websites can help, but always ask for references when you ask for bids from those local electricians too. If they hesitate to provide references, that’s a red flag. Licensed, bonded and insured—In Northern Virginia electricians are required to meet certain standards and re-certify their qualifications on a regular basis. This is how they maintain their licenses with local and state authorities, and it’s an important piece of information for you. Also, it’s important they carry workers’ comp insurance for their employees, general liability (for you) and that all of their equipment and vehicles are insured too. Insist upon seeing these credentials for any electricians in Woodbridge on your list. National Electrical Code compliance—Electrical and building codes change frequently. Are the “electrical contractors near me” whom you are investigating in compliance with all of these latest codes? They must be in order to maintain their licenses to work in Northern Virginia. Root Electric is licensed, bonded and insured to work in Northern Virginia and regularly re-certifies and has its electricians continue regular training to stay up-to-date on all the latest local and national building codes. Contact us if you have any questions about this: (703) 494-3989. When I clicked my ceiling fan/light remote control, the fixture made a flash of light and a loud popping noise and quit working. I emailed a service request to Root Electric. They replied the same day and scheduled a service call for the next day. A Root Electric electrician arrived on time, explained the problem and quickly repaired my ceiling fan/light. He brought the parts he thought he would need, so he could fix it in one trip. The Root electrician was professional, polite and efficient. Most importantly, he repaired my favorite light fixture, instead of recommending a more-expensive replacement. I highly recommend Root Electric. 4. Do the electricians in Woodbridge provide the right services? Not all Woodbridge electricians provide a complete, well-rounded slate of standard electrical services. Some specialize only in specific areas. So, closely examine their services list to determine if they provide what that you need. When you search for “electricians near me”, make sure to go over their list to find out if they will be able to expertly perform a safe and complete electrical upgrade on your home, as well as repairing outlets, installing light fixtures and upgrading your home to be ADA compliant. 5. What is on the bids from your “electrical contractors near me” list? Naturally, it’s best to request bids from a few of the different “electrical contractors near me” on your list. A range of bids will help you get an idea of what’s reasonable. But not all bids are created equal. The best Woodbridge electrician will spend considerable time examining your home and what electrical issues you have before ever writing up an estimate. Once they do create an estimate, it will be very detailed and transparent about every piece of equipment and every activity they expect to perform on your project. While there can be unexpected situations, the best electrician in Northern Virginia will do everything to minimize surprises and be very clear about the job at hand. So, question anything on a bid that isn’t clearly spelled out or seems vague. 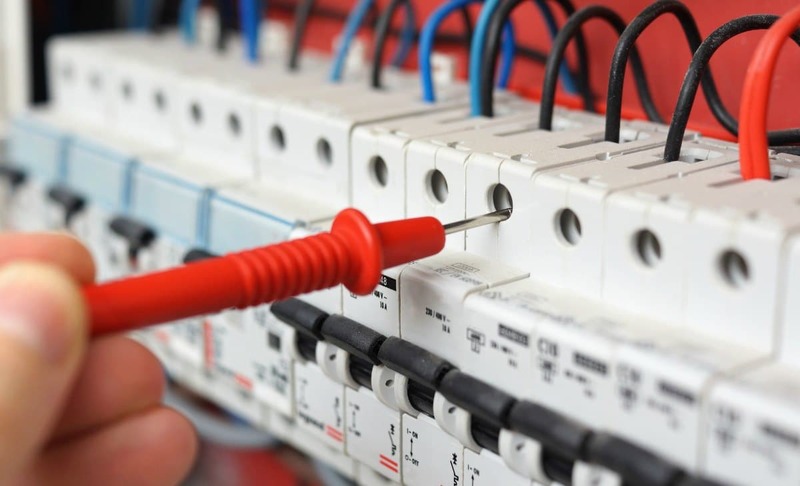 If you go through these 5 tips to discover the best electricians near you in Woodbridge, we’re confident Root Electric will be at the top of your list. Our bids are famously detailed, we consistently earn 5-star ratings from our customers, continue rigorous training for all of our employees, and have been doing this for over 30 years. We consider our customers like family and do everything in our power to make sure you have power—safely and promptly. So, contact us today for a free estimate: (703) 494-3989.